It's Chriiiiiiiiiismas. Well it is at Lush. 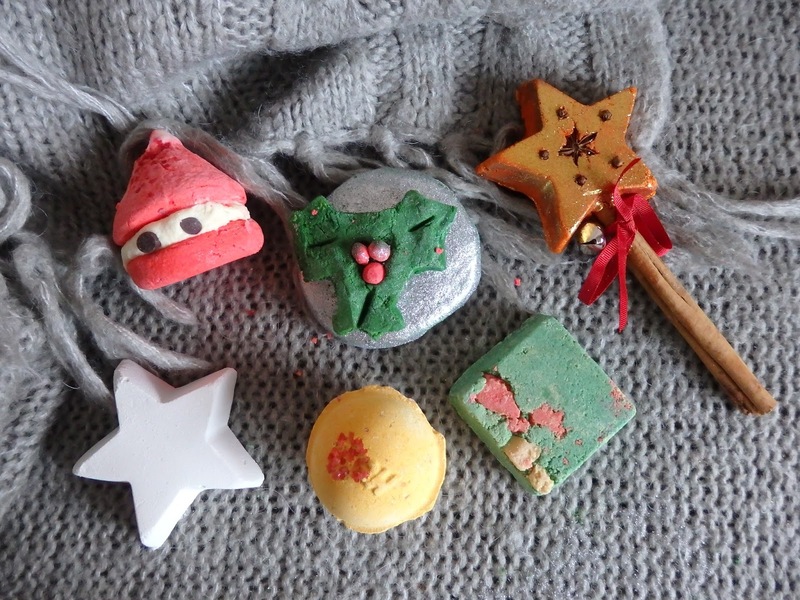 C. Is Lush's Christmas collection. This obivosuly isn't the full rangte but I thought I would still share incase anyone was interested in some of these beauties. Some are new and some are old Lush favourites so some I have used and some I havn't but it will take me afew weeks to get through all as I dont want to use them for the sake of it. I am going to take you through these in order of the individual images and will pop a 'V' next to them if they are vegan. 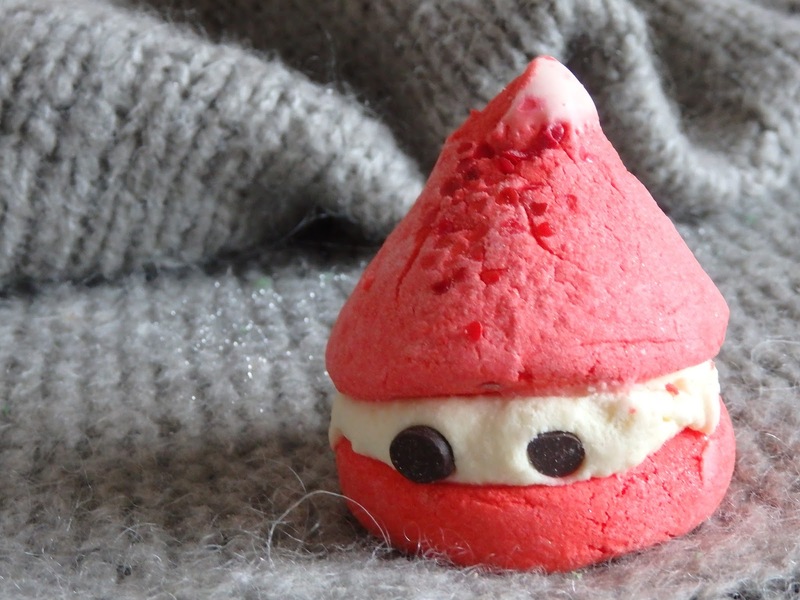 First up is Cinders (V) the smaller yellow bath bomb wearing a red popping candy hat. I love Cinders it was one of my favourites from last year it contains sweet orange, cinnamon leaf and almond oil. Anyone who loves cinnamon scents this one is for you. Next up is another return; Holy Go Lightly (V). This is another one I loved last year, first up it's huge a similar size to the comforter, for me I'll get four baths out of this but you could stretch to five-six or be decadent and use it all in one go but prepare for BUBBLES if you do so. This one is Christmas in a product. Clove, patcholi, orange and lime fill your bathroom with a warm festive scent. The glitter is a shimmer so it does not hang around the tub after. Winner. Bark! The herald angels sing, sea salt will give soft, scrubbed skin. In tempting bark you should confide. Peppermint oil is packed inside! - I had to snag that from the website as it begins to describe Salt and Perppermint Bark a shower scrub. This smells goregous and is one of my favouite smelling products so far, a sweet peppermint that has me thinking of candy canes. 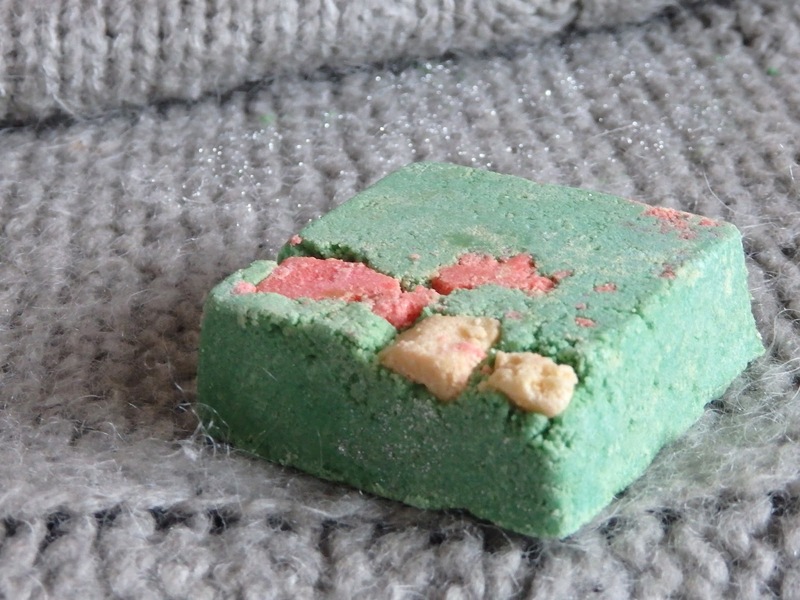 Exfoliation in the winter is so important and these shower scrub bars to a great job. I am yet to use this baby but I have used others, as they are solid you can really go for it on those wobbily bits! The Magic of Christmas (V) is probably the prettiest and most Christmassy of the lot. 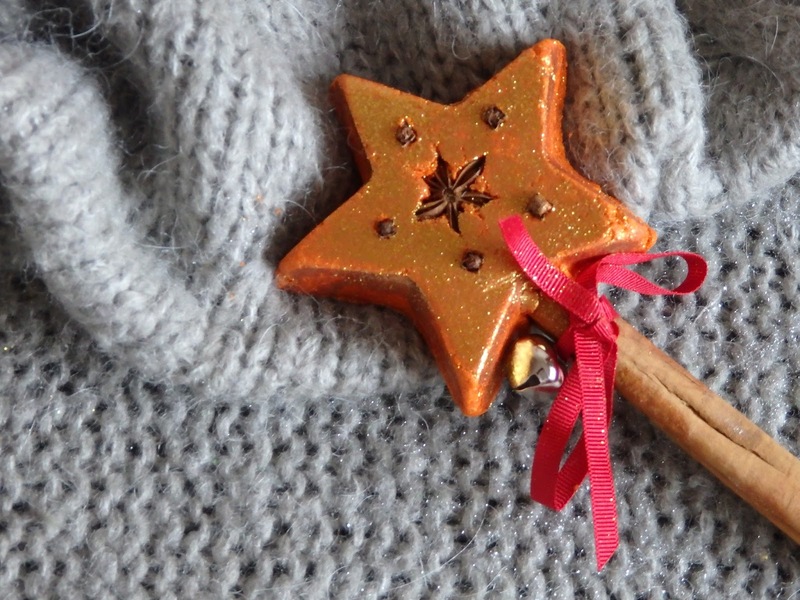 A cinnamon star that can be used multiple times, just swill it around your bath and under the running tap for perfectly sweet and festive bubbles. I don't want to use this as it is so beautiful and smells perfection, it reminds me of the 'Christmas room sprays' we used when I was little...at this point I am positivily giddy at the thought of baubles, fairy lights and mulled wine. 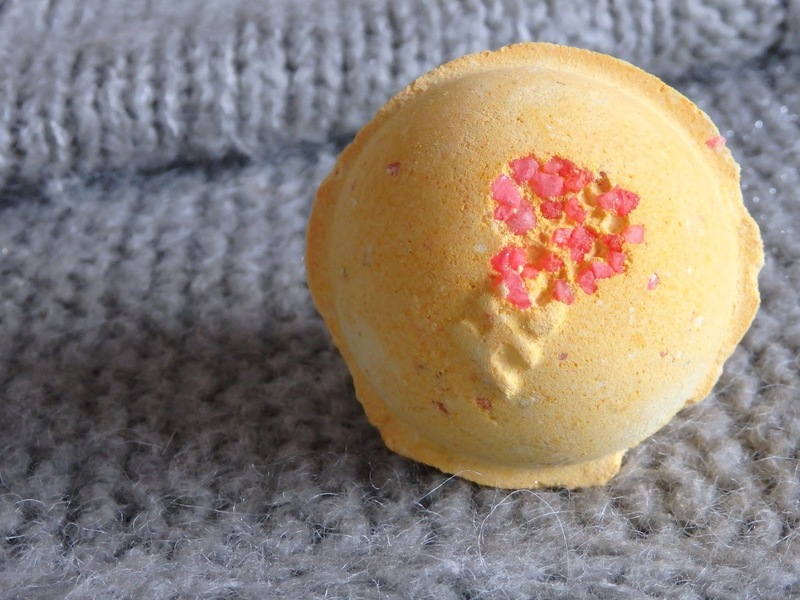 Vanilla, rose and bergamont are the star ingrients in this tree top worthy bath delight. 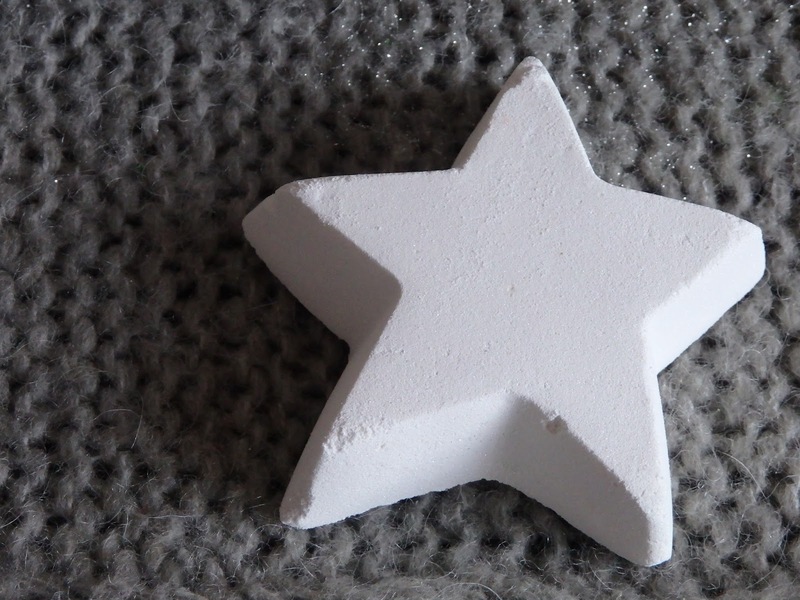 Star Dust (V) looks simple but goves a goregous blue colour to your bath water it even gives a pretty suprise. 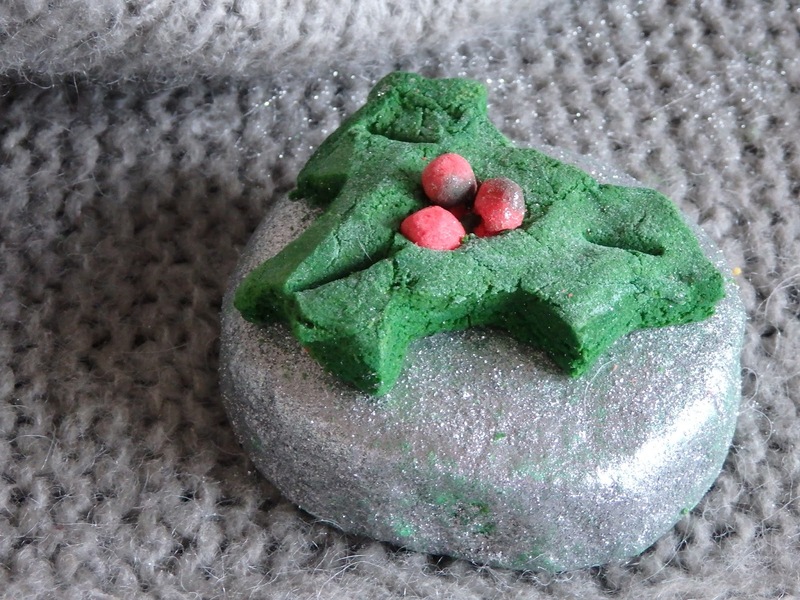 A relaxing yule bath that I am saving for when I want some calm in the frantic festive time's ahead. Last up we have this cute little guy, Peeping Santa (V). The design of this means it is easy to split between two baths which is always good. This is probably my least favourite in regards to scent; Olibanum, bergamont & geranium oil are the key ingreidents along with shea and cocoa butter. If you fancy somthing less sweet this one might be for you. So there we are. Christmas in October.